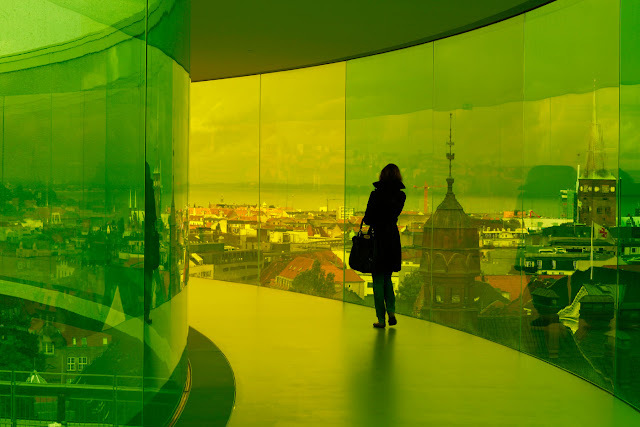 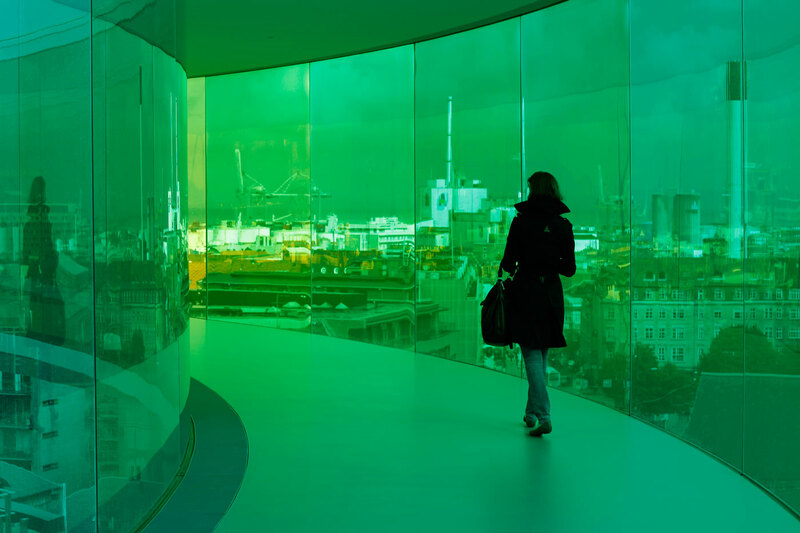 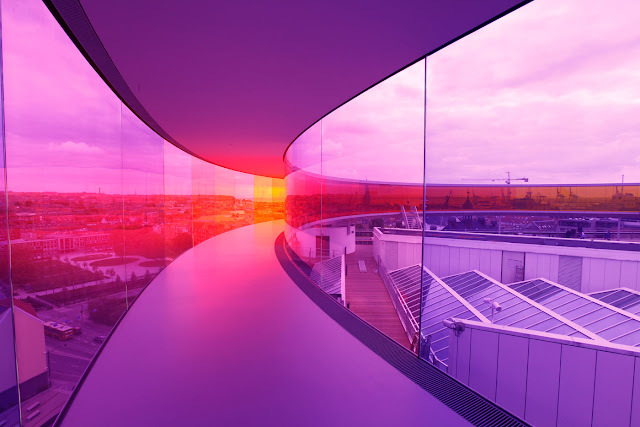 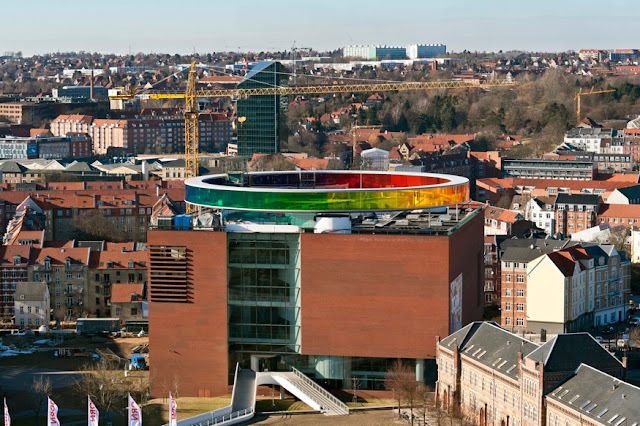 Now reaching the rainbow became possible with the new installation named “Your rainbow panorama” of the Danish-Icelandic artist Olafur Eliasson. 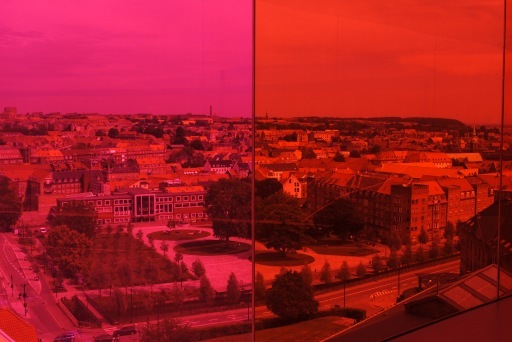 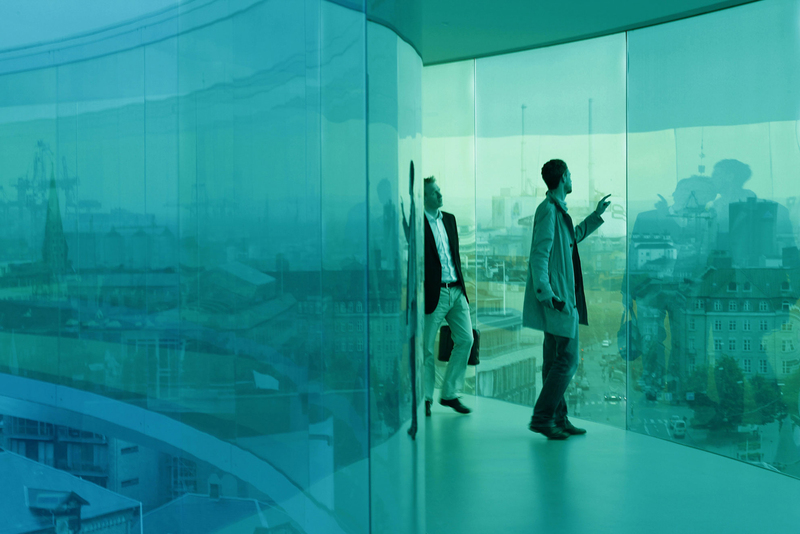 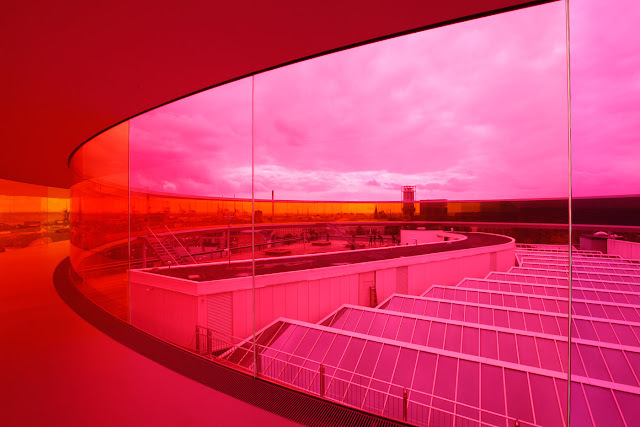 The new project was opened on the 28th of May 2011 on the top of the ARoS Aarhus Kunstmuseum in Århus, Denmark. 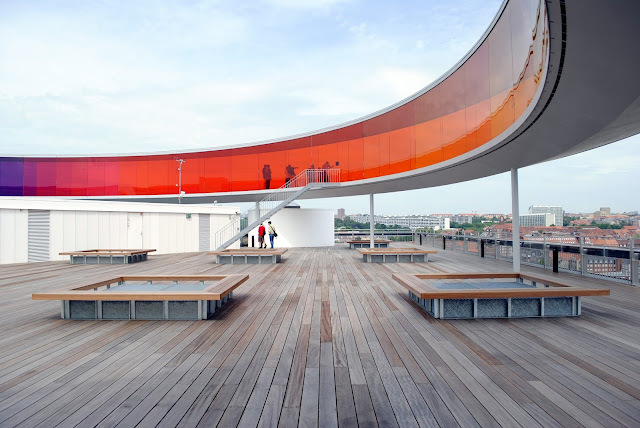 Permanent circular vivid walkway of a 150 meters long, 3 meters wide by 3 meters high, gives a 360° colorful view of the city. 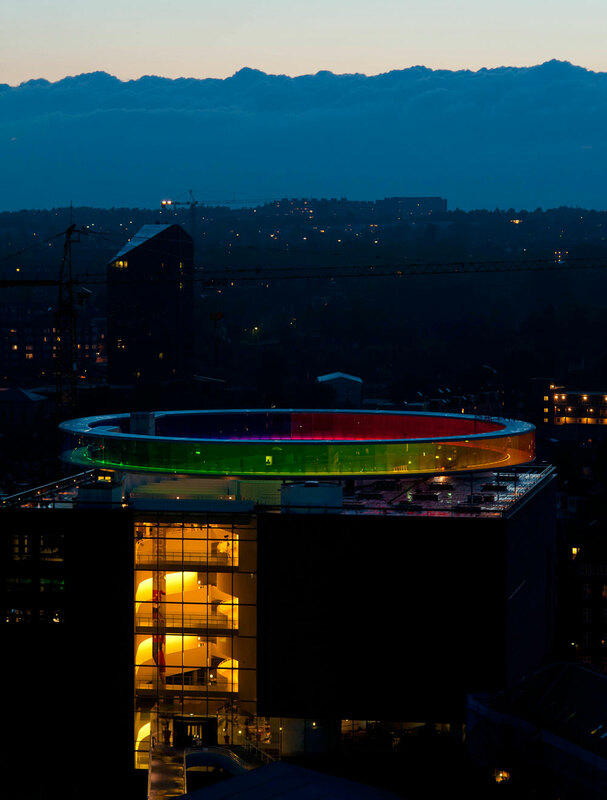 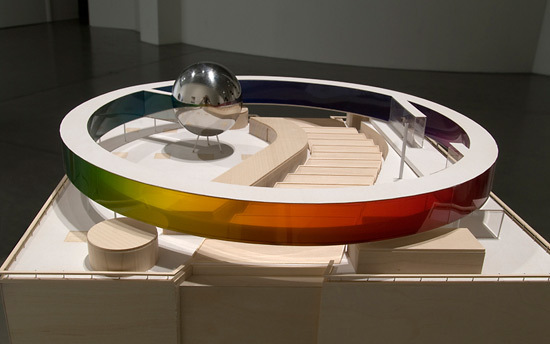 Eliasson’s creation is 52 meters in diameter (approximate weight of 140 tons), mounted on the 12 columns which are resting on the steel construction on the roof level (around 100 tons). 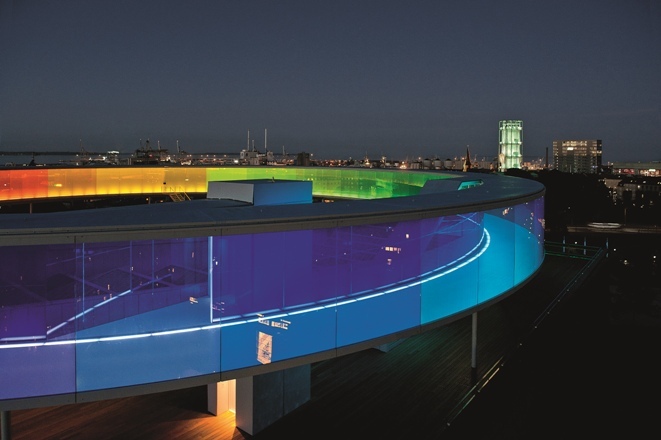 This artistic work stands over 50 meters above the street level and 3.5 meters above the renovated roof area, it is also available for recreational purposes with a spectacular city view, all interested can reach both roof terrace and panorama via stairs and elevators.